In order for pavements to last, they must be properly constructed. 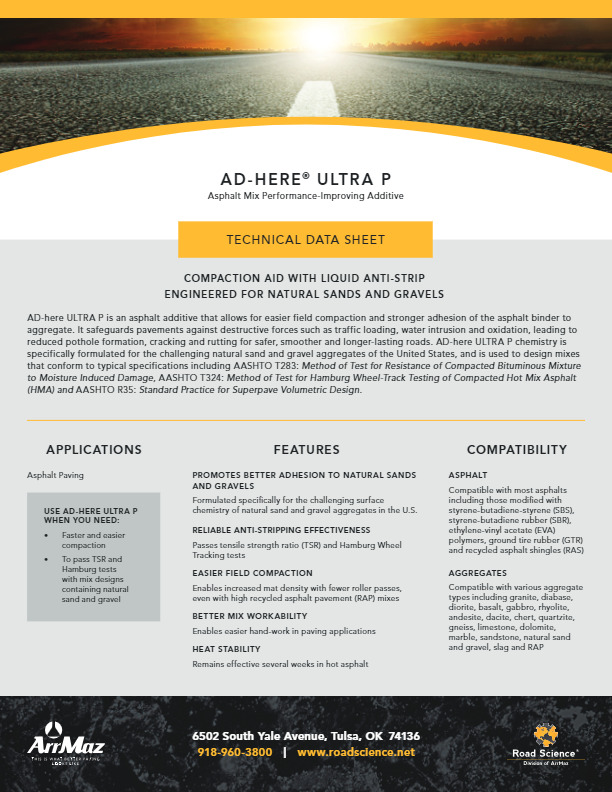 Achieving the required density has often been considered the single most important factor affecting the ultimate performance of any pavement. 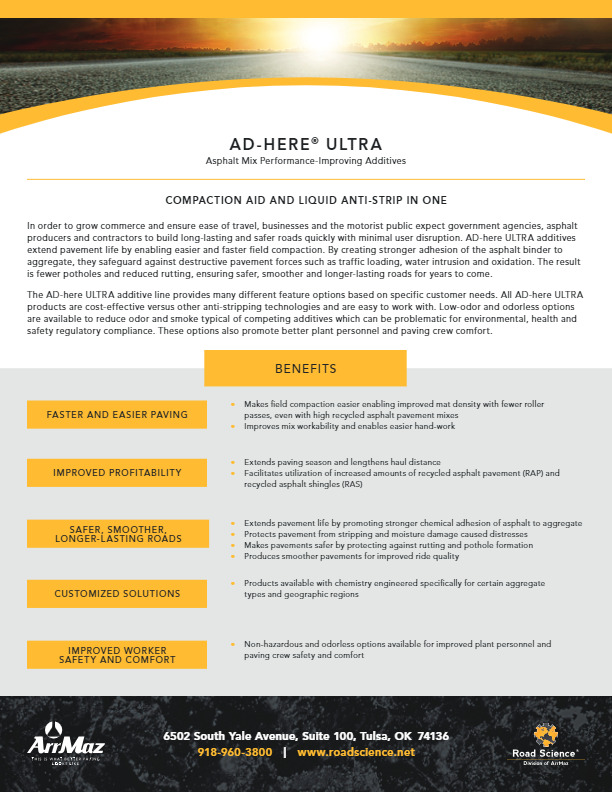 Even the best asphalt mixes are guaranteed to fail prematurely without proper compaction. 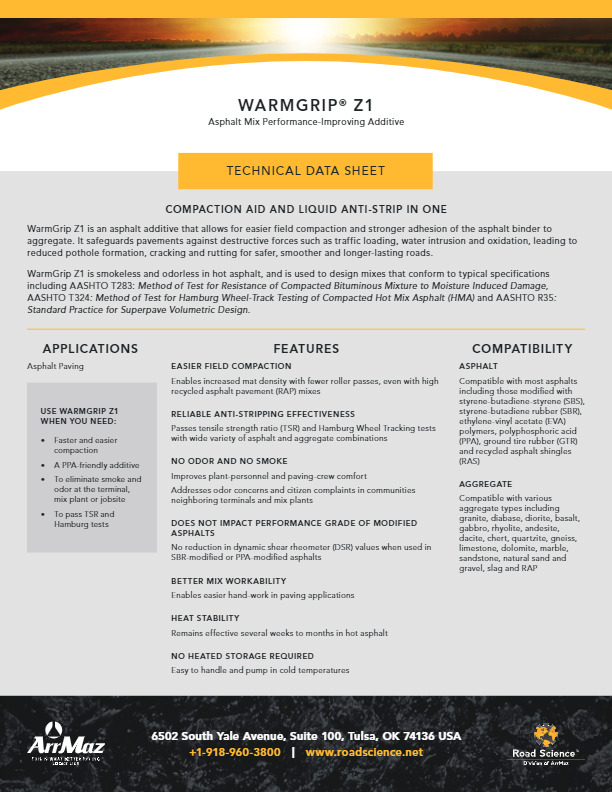 Mat temperature plays a critical role in the time allowed to achieve proper density. 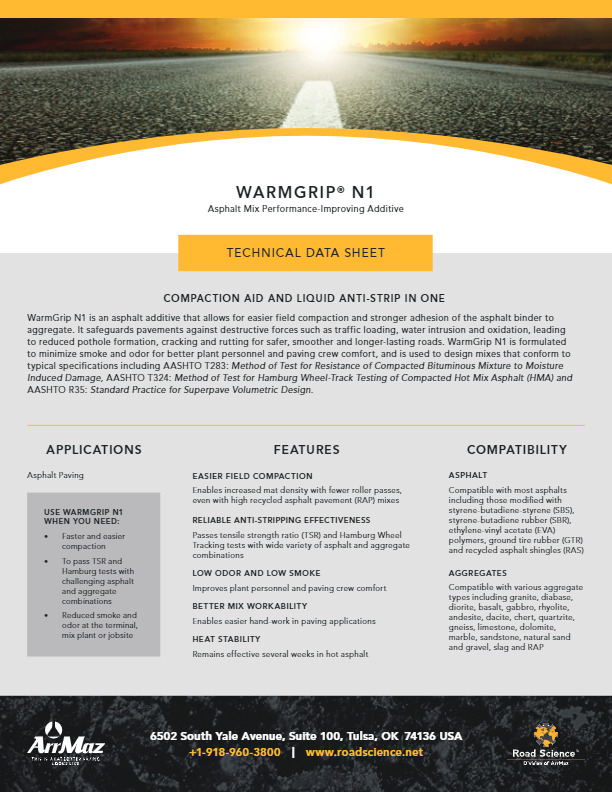 Road Science’s AD-here® ULTRA and WarmGrip® warm mix technologies provide paving contractors with a compaction aid combined with industry’s leading and most trusted liquid anti-strips. The AD-here ULTRA and WarmGrip product lines are specifically formulated to enable the asphalt mix to be produced and compacted at lower temperatures, and to lengthen pavement life by protecting against moisture damage. 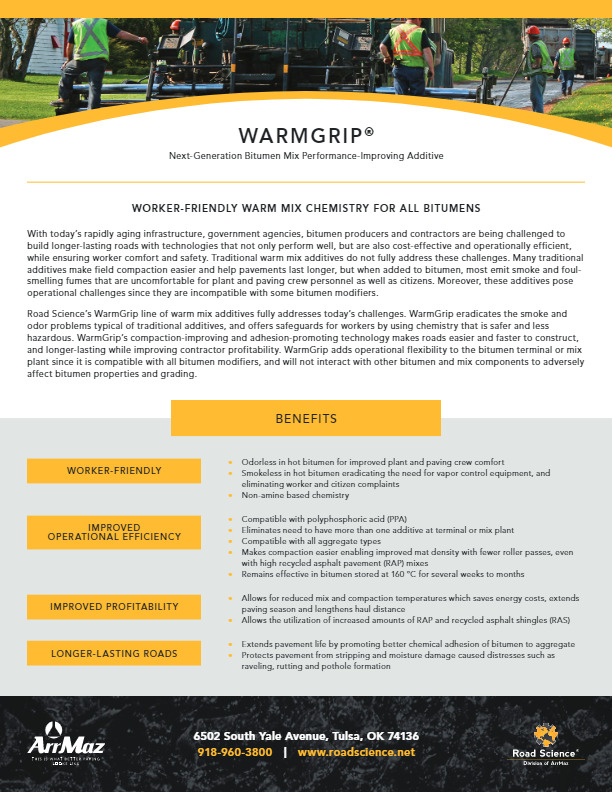 Provide better working environments for paving crews. 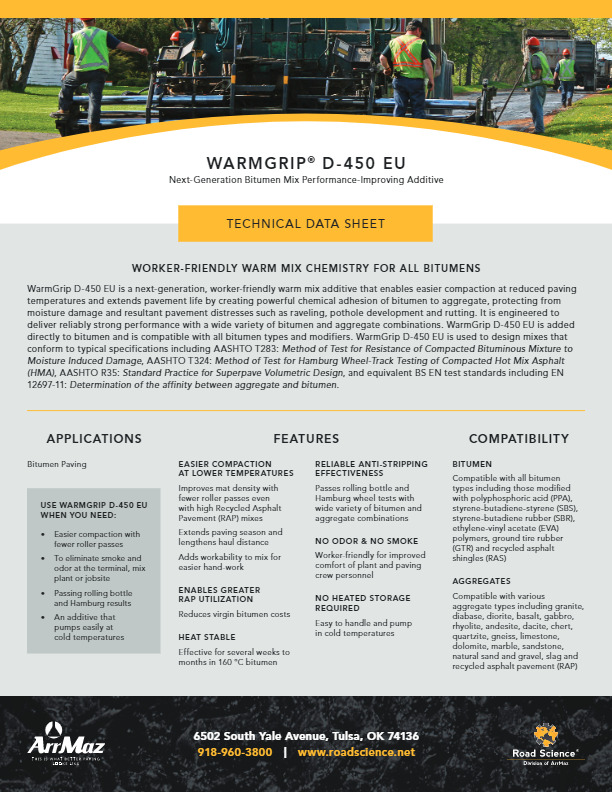 With Road Science’s chemical synthesis and paving application expertise, we’re able to provide our customers with superior performing warm mix additives that provide clear advantages.